Earth Mantra has a real treat in store for its listeners with this release. 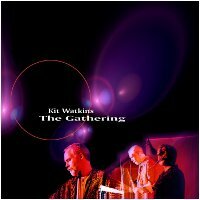 Fans of Kit Watkins will know that a few years ago, Kit also released a full length video DVD of this performance, which presents nearly all of both sets Kit played at St. Mary's Church. It is now our distinct pleasure to be able to offer this DVD to all Earth Mantra listeners free, under Creative Commons. It is such a joy to be able to watch Kit play this amazing music. It is difficult to truly appreciate the musicianship Kit brings to his music without seeing him make it in real time. The video recording quality is exquisite, a perfect rendering of this genre-changing performance. And of course, the music itself is stunning, one of the legendary ambient concerts of all time. Earth Mantra could not be more excited to bring this fantastic DVD to our listeners, and we again want to publicly thank Kit for his generosity in making this material available in this way. We hope you enjoy and cherish it as much as we do.